Thank you! Please confirm your e-mail address in the message we just sent you. Karen Dodd writes psychological suspense that start out in West Vancouver, BC and always find their way to a little town by the name of Tropea in Calabria, Italy. 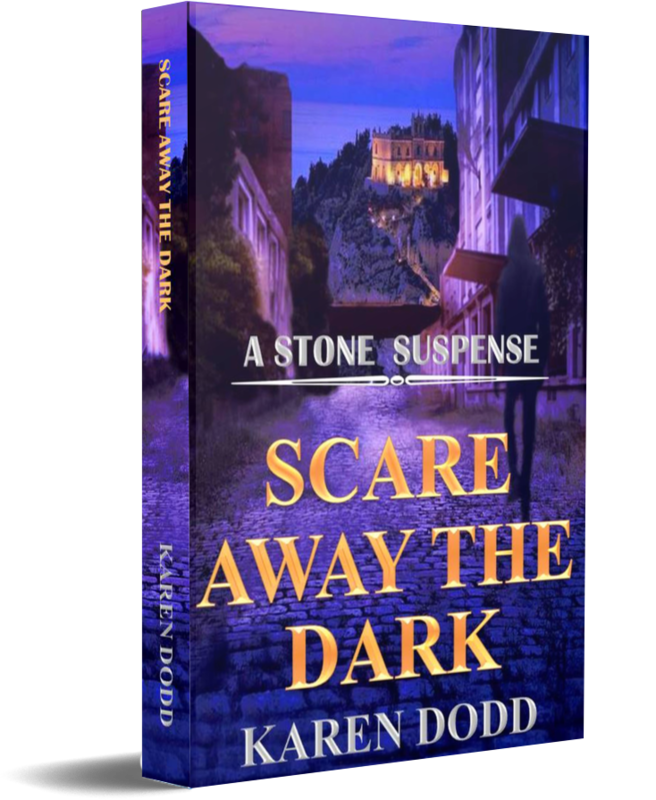 Scare Away the Dark is the second novel in her Stone Suspense series. Prior to writing fiction, Karen coached women in small business and published an extensive collection of articles on the subject of entrepreneurialism. In 2011, she retired to focus on writing her first novel, Deadly Switch which was published in 2013. The genesis for her first book was ripped straight from the headlines of her town's local newspaper. Although the real-life incident was terrifying, Karen fictionalized the rest of the story, which became her best-selling debut suspense novel. Karen’s thrillers allow her to indulge her love of travel as well as highlight life on the west coast. When she’s not working on the next book in the Stone Suspense series, she can be found gardening and enjoying living by the sea with her laid-back husband and two assertive cats. Once a "pretend extrovert," she's now willing to admit there's nothing (other than writing) that she loves more than curling up in front of the fire with a good suspense/thriller. Her biggest fear is that someone will access her computer search history and think her a twisted, murderous psychopath. Oh well; such are the perils of being a suspense writer! Karen is currently working on the third novel of her series. In addition to going back to Italy, part of it is set in Malta. PRAISE FOR "SCARE AWAY THE DARK"
WHO IS THE MAN FOUND DEAD, WITH A NEEDLE IN HIS ARM? WHAT IS HE DOING IN GAVIN STONE’S WATERFRONT MANSION?